Technical Supplies & Services Company (TSSC), a leading manufacturer of advanced building materials and systems in the Middle East, has announced its latest innovative technologies for the region's cold chain industry. These novel technologies continue to gain traction, serving the ever-growing demand for energy-efficient solutions in the region in line with the highest international and environmental standards, said a statement from TSSC. A part of the Harwal Group of Companies, TSSC is the largest manufacturer of insulated panels in the Middle East. Established in 1975, the company manufactures a wide portfolio of products and services at its facilities across the region and the world, located in Dubai, Abu Dhabi, Riyadh and Moscow. The company’s solar technology for refrigerated trucks, eutectic plate systems and telematics technology are some of its latest innovations that are continuously enhancing the performance of cold chain systems, it added. Miro Donabedian, the general manager for cold stores and refrigerated trucks, said: "TSSC capitalises on its five decades of leading experience in the manufacturing of insulated panels for cold stores and refrigerated truck bodies, a reputation built on quality management systems that follow the highest international standards." "We continue to invest in green initiatives that are in line with our commitment towards sustainable engineering in terms of design and production, including improving our operational processes guided by ISO 9001:2015 quality standards," noted Dobabedian. As a leading regional player in the cold chain industry, TSSC holds a 40 per cent market share for cold rooms and a 35 per cent share for refrigerated trucks and is working on innovative insulation products for cold storage and vehicle refrigeration systems, he stated. "TSSC’s expansive manufacturing capabilities have enabled it to build the largest cold store project in the world in Makkah, Saudi Arabia with a total area of 1.6 million sq ft," he added. The insulation manufacturer is the sole producer in the region guaranteed to supply highly fire-resistant Camlock Panel System that comply to FM Approvals Standard 4880. According to Dobabedian, it currently produces 1.5 million sq m per year of insulated panels for cold store warehouses to serve an annual demand of 1,800 vans and refrigerated trucks. Nour Chawi, the division manager for refrigerated trucks, said TSSC’s solar-powered refrigeration unit provides various benefits such as less energy consumption, less noise pollution, elimination of emissions from diesel exhausts and less dependency on the truck engines to maintain cooling in cases where engines are shut off. 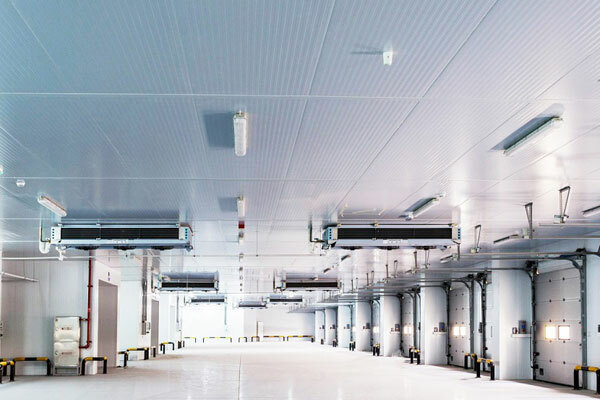 "TSSC’s innovative eutectic plate system also ensures the maintenance of temperature inside a cold storage or refrigerated truck for long periods, even after the unit has been disconnected from the power supply," he noted. According to Chawi, TSSC has been successfully testing products and fabricating vehicles of all types and sizes, equipped to transport dry goods as well as perishables such as dairy, poultry, meat, fruits and juices because it fully understands the challenges faced by the food and beverage industry when it comes to transport and distribution of goods to their markets. "We address these issues through innovation, which can save a lot of cost, translating to huge benefits to the bottom line and an increasing number of customers in the cold chain sector realise why it is important to adhere to standardisation processes, environmental compliance and most especially, the value that TSSC can provide in following rigorous processes of quality tests," he added. Haris Usama, the general manager of electromechanical refrigeration services, said: "With its in-depth knowledge of refrigeration systems, TSSC proves to be highly capable in delivering world-class solutions - creating temperature-controlled storage systems and processing plants using globally accepted natural refrigerants like NH3, H2O, zero ODP and low GWP synthetic refrigerants."